A Cessna Caravan donated to Mali. Mali’s Air Force has taken delivery of a Cessna 208 Caravan aircraft configured for intelligence surveillance and reconnaissance (ISR). It was donated by the European Union to help Mali combat terrorism and insecurity. The aircraft was handed over to Malian authorities on 2 April at a ceremony held at the Sénou Air Base in Bamako, in the presence of the Ambassador of the European Union, Alain Holleville, Chief of Staff of the Armed Forces, Major General Abdoulaye Coulibaly, Chief Staff of the Air Force, Brigadier General Daouda Dembélé, and representatives from EU member states. 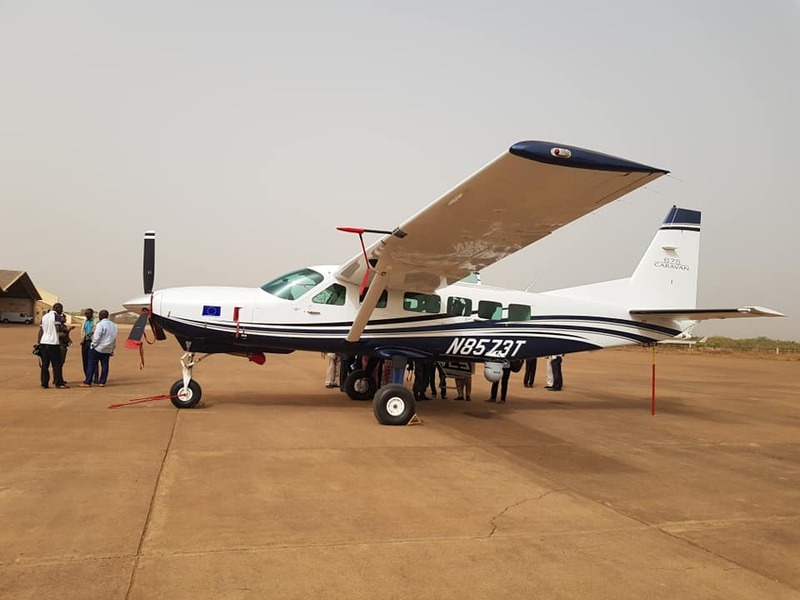 The European Union said the aircraft was delivered with training and “state of the art equipment” for a combined total value of 5 million euros as part of the Support Program for Strengthening Security in the Regions of Mopti and Gao and the Management of Border Areas (PARSEC). It will be deployed at Mopti-Sevare airport where the military’s Air Base 102 is located. The aircraft is fitted with an electro-optical payload on the left hand side of the fuselage. Holleville said that, “This aircraft will allow the Malian security and defence forces to accomplish many missions of observation and surveillance of the territory and border areas. The European Union intends to support the efforts led by the Malian government to reinforce the security of the entire population in the Central area, which is exposed today to significant challenges in terms of security and the respect of human rights, as the dramatic events of recent weeks have reminded us”. PARSEC is a €29 million project financed through the EU Emergency Trust Fund for Africa. This project, which has been supported by the EU Training Mission (EUTM) and EUCAP Sahel Mali Missions, is part of a broader EU effort to strengthen security and development in the central Mali area around three key areas. The Integrated Regional Security Plan (PSIRC) includes restoring security (by PARSEC), support for dialogue between the population and the defence and security forces (through projects with the Henri Dunant Center and SIPRI), and finally, the return of basic social services and activities to stimulate the development of the local economy.